Carrie and Kim met at the YMCA and their children's school about 15 years ago. They share a love of family, friends, Door County, cooking and hard work! Carrie and Kim bought Cornucopia in 2009. 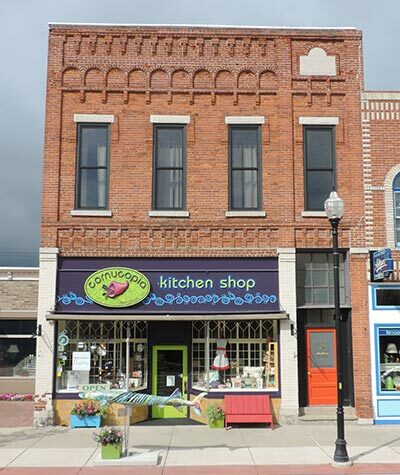 First established by Abby Struck in 1995 on Jefferson Street in Sturgeon Bay, the shop was a cornucopia of items that quickly transformed itself into a kitchen shop. Carrie and Kim moved the shop to its current location at 139 North 3rd Avenue in the great moving season of February, 2013. Classics remain the backbone of the shop (All-Clad, Le Creuset, Wusthoff, Kyocera and Shun, Peugeot, Mariposa, Polish Pottery, Tervis Tumblers…to name a few) but the latest and greatest in kitchen trends are found and stocked on our somewhat crowded shelves. Carrie is a co-owner of Cornucopia Kitchen Shop. She moved to Sturgeon Bay in 1992 when she married local boy Richard. 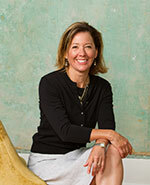 Prior to shop ownership, she was a stay-at-home mom with some community volunteerism on the side. Prior to that, she was a civil engineer inspecting bridges for the Department of Transportation. Fun! But definitely preferring feet firmly on the ground selling high quality cookware and other super fun things for your kitchen! Her awesome parents, Faye and Reuel, fill in for Carrie and Kim during Housewares Show times, Spring Break, and other times as needed. Children Madeline and Adam also work the shop during school breaks. We are truly a family operated business! Kim is the other co-owner of Cornucopia. She is an "original" resident of Sturgeon Bay. After college and a short stint in Minneapolis, Kim and her husband Mike moved back to Sturgeon Bay. Kim has enjoyed the journey from working in Marketing at Baylake Bank, to being a stay-at-home mom, and most enjoyable of all shop ownership with friend Carrie. 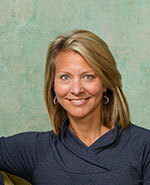 Always strongly committed to the community, she volunteered in local organizations and coached several athletic teams. On occasion you may see anyone of Kim's family members working at the shop: daughter, Jackie; son, John; Mom, Marilyn; Dad, Ron; Mother-in-law, Nell; sisters Carey and Kendra; and most frequently niece, Molly.